Home Blog Embrace the silence, a Pilates teachers challenge. One of the hardest things for me is keeping quiet. As a child if I was in trouble at school it was usually for ‘chattering’, and at home I was endlessly told off for hogging the phone line making LONG phone calls to friends. When I began my journey into ‘horse-whispering” my teacher and mentor Monty Roberts explained that in the wild, horses are silent as any noise will attract predators, so when working with horses we should be as quiet as possible. There is no reason to talk. I found this almost impossible at first, having always spoken to animals whether they are a horse, cat, dog or hamster, this new silence felt strange, uncomfortable and unnatural. I was told that if talking to the horse I was working with helped calm me down and reassured me, that was ok. However I needed to recognise that it was simply that, for my own reassurance and benefit. The horse didn’t need it. This ‘over teaching” can eventually lead to the client zone-ing out and missing the cue that they really need. Bombarding clients with cues when not required can reduce internal learning and mean they may always need to look to the teacher for cues and support. With this ‘Spoon-feeding’ We can unintentionally remove their need to become self sufficient at the work. Making our client/student self sufficient within their class is imperative so that they, and we can recognise the point at which they have gained a level of expertise and are ready to move on. Allowing clients time to work on their own during class provides this. We do not teach in a vacuum, interaction between us and our clients is one of the greatest and most rewarding parts of teaching and recognising when to support learning with a well placed cue and when to be silent and let learning happen is also a vital teaching skill. 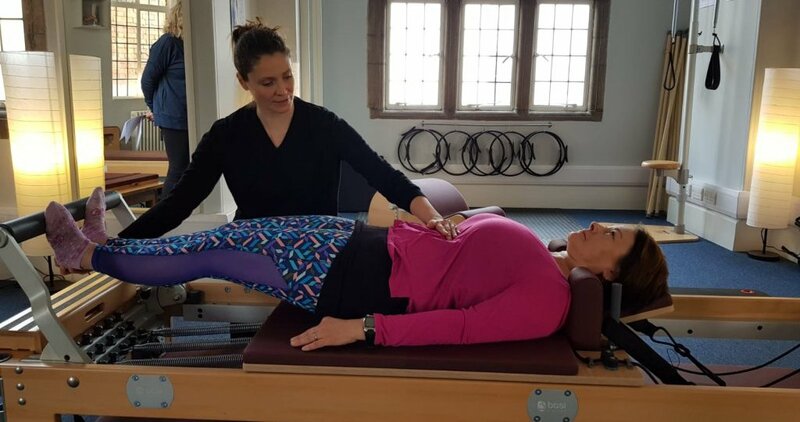 Between your initial cue and observing the clients movement is when the magic happens, how you choose to fill that space is the genius of your teaching choice and what ultimately brings people back to you. The next time you teach, whether it’s a 1-1 or a group class, take time to experience your own teaching. Listen to your cues, listen to the silence. Maybe the silence will make you uncomfortable, maybe your client will surprise you with their own ability. Maybe it will free you up for more wonderful and thoughtful teaching. Embrace the silence and enjoy the learning. Julie, I love this! As with riding, using a minimal amount of aids( or Cues to our Pilates students) to acheive a result, with the occasional reminder if and only if needed. Students and horses have so much in common, they start ignoring us, lose focus and require much more support when we do to much.